Shakespeare's most iconic work. HAMLET is the ultimate play about loyalty, love, betrayal, murder and madness. Every production is defined by its lead actor. 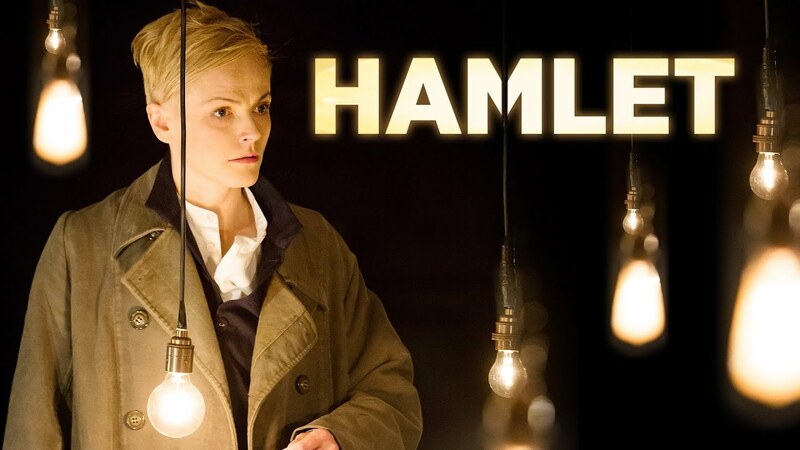 In this stripped back, fresh and fast-paced staging by Sara Frankcom for the Royal Exchange Theater, Maxine Peake (THE THEORY OF EVERYTHING) creates a Hamlet that is both timeless and uinique for today. Though the part has a long history of being performed by women, Peake is the first female actor to be cast in a major production since Frances de la Tour assumed the role for forty years ago. "Peake’s delicate ferocity, her particular mixture of concentration and lightness, ensure that you want to follow her whenever she appears. " "It’s a terrifically fast, fluent, attacking production and Peake’s Hamlet is like a page-boy gone bad, relying on mates for a supply of drugs, sporting a aggressive short haircut that comes from prep school or the army: blond, but unlike the Byronic crop of Olivier’s Hamlet. Her casting isn’t a gimmick. Peake looks like a stowaway, or a French resistance fighter in disguise: her femaleness gives a new edge of differentness and alienation and anger...."
"A triumph of re-invention... Intimate and intense.... Stunningly good."